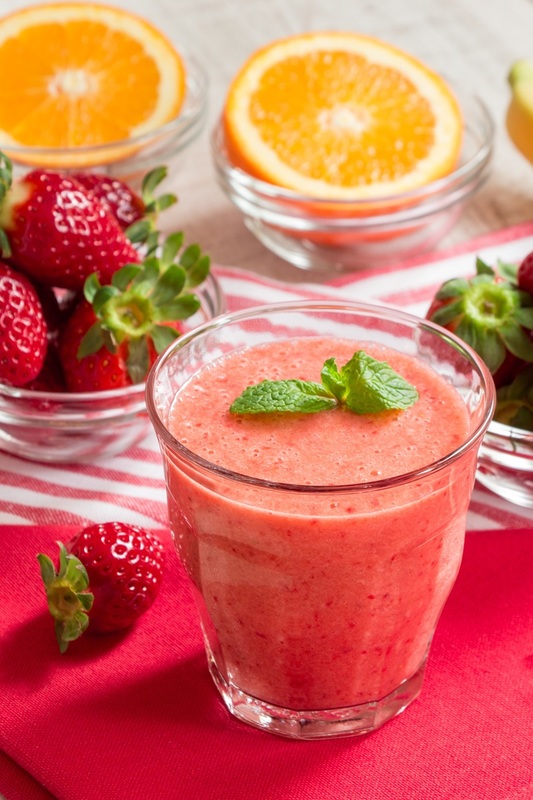 This Super C Strawberry Smoothie is one of my favorite summer basics. It’s naturally packed with Vitamin C and potassium, and is a perfect pick-me-up during strawberry season. Though you can enjoy it year round with frozen strawberries. 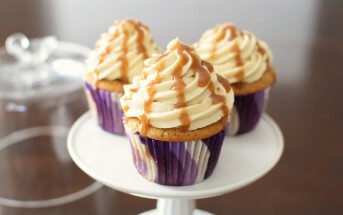 I originally shared this recipe in the 1st edition of Go Dairy Free. But when I revamped my flagship book, I had to make room for some new recipes. 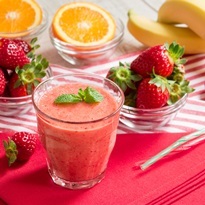 This strawberry smoothie recipe was replaced by The Big Squeeze Smoothie and the Just Peachy Power Smoothie. 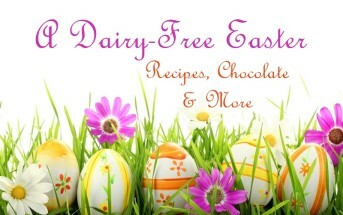 You can enjoy those new recipes in the 2nd edition of Go Dairy Free. But to keep this easy, staple strawberry smoothie recipe from being lost, I’m giving it a permanent home right here! I initially whipped up this quick blend to offer more easy ways to incorporate orange juice into your diet. Citrus has actually been shown in studies to support healthy bones. You can read more details on this and other surprising healthy bone foods in Go Dairy Free. If you are using fresh strawberries, I recommend freezing the banana chunks in advance, as some frozen fruit gives this strawberry smoothie a creamier consistency. 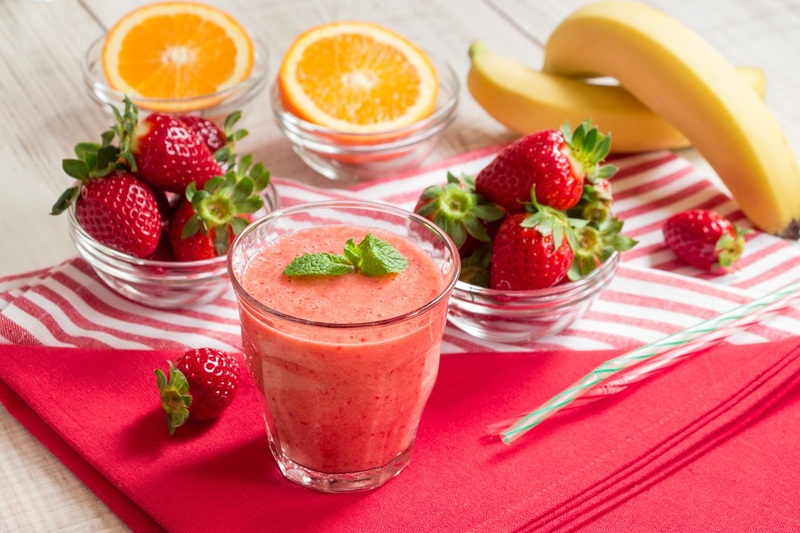 Always place the fresh fruit in your blender first (or last if using a personal blender cup), followed by the frozen. Putting the softer fruit closest to the blades helps the mixture blend more easily. If you want a little more oomph in your strawberry smoothie, add 1 to 2 tablespoons of your favorite dairy-free protein powder. I would stick with a plain or original one to keep from overwhelming the fresh flavor. But a vanilla protein powder might also be tasting. By ingredients, this recipe is dairy-free / non-dairy, egg-free, gluten-free, grain-free, nut-free, peanut-free, soy-free, vegan, plant-based, vegetarian, paleo-friendly, and top food allergy-friendly. 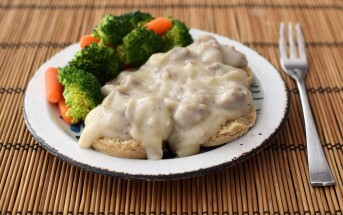 This recipe was originally featured in the first edition of my flagship book, Go Dairy Free. It contains 161mg, or 372% of your RDA, for vitamin C. And it's all from whole foods, not supplements! The banana also provides a good source of prebiotics, which is why I like to add a little probiotic powder. Toss the banana, strawberries, orange juice, and probiotic powder (if using) into your blender, and process until smooth. If desired, blend in some ice for a thicker, frostier treat. We just made this with our freshly picked strawberry from the farm yesterday! We had to double the strawberry amount due only being able to taste banana. But will definitely be saving this for later. So hard finding smoothies that taste good without milk or yogurt. This smoothie looks so sweet! 😍 Additionally, I’m curious about the differences between using frozen fruits and fresh/ripe fruits. I normally use the ripe ones because I think the frozen will lose their sweetness to some extent. Hmm, I haven’t noticed a big difference in the sweetness of smoothies with frozen fruit, as long as I’m using fruit that I froze myself (I do think store bought frozen tends to be less sweet). I freeze some of the fruit for a thicker smoothie, but you can certainly use all fresh fruit. There is nothing better than fresh, simple ingredients! Can’t wait to give this a try! I couldn’t agree with you more Emily. This looks SO refreshing! I could use once of these this week, it’s so hot in NYC! I seriously need this in my life today!! I love how refreshing it is for summer. Love the orange juice addition! Orange juice is so under-loved in smoothies!